"It is only by understanding and respecting each other’s positions that we can hope to reach common ground and work towards a more peaceful world." In these times of rising global uncertainty and insecurity, dialogue has never been more important. Leaders and senior officials need to be able to talk – and listen – to each other with honesty, frankness and open-mindedness. It is only by understanding and respecting each other’s positions that we can hope to reach common ground and work towards a more peaceful world. 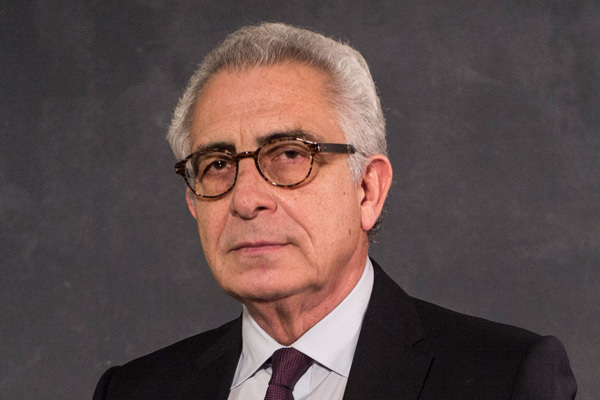 It was in this spirit that I attended the Munich Security Conference in Germany last month, together with my fellow Elders Lakhdar Brahimi, Hina Jilani and Mary Robinson. This influential gathering brings together top politicians, officials and policymakers from Europe and the United States as well as other leaders from the Middle East, Africa and Asia. This year’s conference attracted particular attention because it was the first time that senior officials from the new US Administration addressed a European audience. We were glad to hear Vice President Mike Pence and Defence Secretary James Mattis reaffirm their support for the United States’ traditional security relationships, especially with NATO, and hope this constructive engagement continues at all levels. 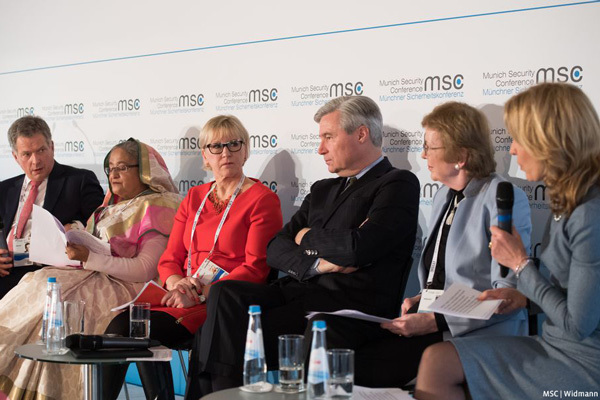 In 2015, The Elders attended the Munich Security Conference to launch our “Stronger UN” initiative. This year, we wanted to defend one of the most important foreign policy and security achievements in recent years: the Iran nuclear agreement. The Elders believe this deal is a key instrument for peace in the region. I was part of the Elders’ delegation to Iran in January 2014 when we met the country’s top leadership and encouraged them to persist with the pragmatic course adopted by President Rouhani. Given the uncertainty surrounding the intentions of the new US Administration towards Iran, we wanted to show in Munich that the nuclear deal is working and, crucially, that it is supported by regional powers who are not allies of Tehran. Lakhdar Brahimi and I hosted a panel discussion together with Prince Turki bin Faisal bin Abdulaziz, the former Saudi Arabian intelligence chief and Ambassador to Washington and London, and Sheikh Hamad bin Jassim Al Thani, former Prime Minister of Qatar. Both men are strong critics of Iran’s foreign policy but both were adamant that the nuclear deal is vital for regional security and needs to be fully implemented, not scrapped or renegotiated. 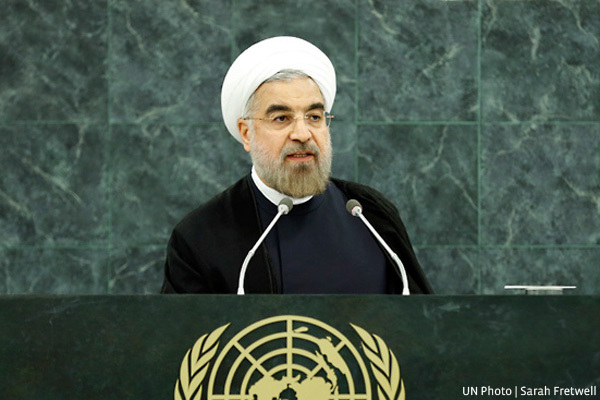 I argued that the new Trump Administration should just look at where Iran’s nuclear programme was in 2013 and where it is today – and it would then come to the conclusion on its own that the agreement is good for everyone. Lakhdar Brahimi, Hina Jilani and I also had good talks with the Iranian Foreign Minister Javad Zarif in Munich, where we discussed not only the nuclear deal but also conflicts in Syria and Yemen, and the importance of building better relations between Iran and Saudi Arabia. Another key priority for The Elders in Munich was continuing to argue for effective action on climate change, and more equitable and humane policies towards refugees and migrants. Mary Robinson and Hina Jilani took part in panel discussions on both topics alongside serving foreign ministers from Sweden, Finland and the Netherlands, and with former UK Foreign Secretary David Miliband who now heads the International Rescue Committee. We also held constructive bilateral meetings with the Deputy Prime Minister of Palestine, the foreign minister of Oman, the heads of the Gulf Cooperation Council and the Arab League and senior UN officials responsible for climate change, sexual exploitation and abuse, and Cyprus peace negotiations. Across all these diverse and important issues, we pledged to use our collective voice and influence to further the cause of peace. I know that we can count on your ongoing support as we continue our work throughout 2017.